Join us for ten inspiring lessons in Heartfulness, through which Daaji will help you discover calm, clarity and contentment. It was a superb experience!. He explained the whole thing so beautifully and in a very simple manner. Meditation was also absorbing and relaxing!. It was great to start!. When you feel the expansion of the inner energy in your heart, you feel the connexion with all creation, a unity, not physically but spiritual union. It’s excellent. We can feel how experienced is the teacher in the field of spirituality and meditation. His simple explanations and examples give ample opportunity to understand the concepts. It’s also a very practical course where one can actually experience immediately what has been taught. Very well designed course. This is practical for me to experience. I am not being by influenced by nice talk or attractive quotations. I felt very much lighter in my mind and much more calm with my body relaxed too. It is my conviction that these practices and teachings – if followed to the letter – will lead one to the desired goal of expanded consciousness. Each and every word of Daaji make sense when you practice with a faith and surrendered feelings. I am enjoying my sessions with Daaji. Thanks for bringing a change in my life. I received an increased sense of Peace while involved with this course. Meditation is not optional. It must be shared with all. The sublime voice of Daaji goes straight to the Heart! This course is live! every time I watch because His transmission touches and nourishes the Heart each time! It is priceless and I look forward to more of it! It’s an excellent introduction to someone who has no knowledge of Heartfulness meditation. For people with Heartfulness experience, the course enables to clarify one’s knowledge. In addition, it gives us tools to present Heartfulness Relaxation Meditation to others. 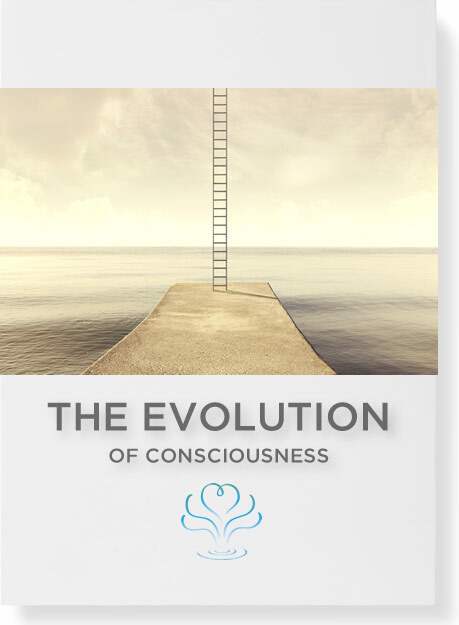 How do I buy the Udemy course - “Meditation & the Evolution of Consciousness by Daaji”? Option 1 : Visit : http://daaji.org/udemy/, register to download the free eBook, and on submit your name & email ID, you will be automatically redirected to Udemy special limited time launch offer. If the special offer is valid, you will get 50% off the List Price ($20). You will see the landing page (refer below picture) of the course. On the right side, you will find the “Buy Now” button. Click the button. Step 2 - On clicking the button, signup window will popup, if you do not have Udemy account. Signup using your Name, favorite Email ID, your password and press Signup. Step 3 - You will be taken to “Checkout” page where you will have 2 choices to make the payment. Step 4 - After filling the relevant details, click on “Complete Payment” button. Step 5 - Check your email ID you used to Sign-up for Udemy. Please do check SPAM Folder also as sometimes, the mails are landed in SPAM depending on your Privacy Settings. Step 6 - Udemy will send you the receipt of the payment made and also the access details/link. Step 7 - Click the link , login with your email ID and password to access your course. I am not seeing the special launch offer discounted prices, though I clicked the link provided in my email by you. What do I do to avail the special prices? A. Maybe you missed the deadline of the special promo offer and the discounted prices are no more valid. I want to preview the course, before I buy? Can I watch sample videos? How do I download the free ebook? Refer below picture and scroll down to the optin form. Step 4 - Check your email Inbox. If you do not find email , please check the Spam folder. On submission of the free eBook form, why am I taken to Udemy page? This is to ensure that you do not miss the special Udemy launch offer on “Meditation & the Evolution of Consciousness by Daaji” (50% off the List Price). My debit card is not getting accepted by Udemy to make payment for the course. What do I do? Can I make payment through online banking? Udemy accepts Visa, MasterCard and Amex for the payments. It also accepts payments made through Paypal. In India people have bought using ICICI, HDFC and other credit/debit cards. At present Udemy is working on alternative ways to make the payment, and we will keep you posted once we have updates. I have made the payments, but I am unable to access the course? When you make the payment to Udemy, you need to first SIGNUP with your email ID and password. Please refer Q to access. In case you are unable to login, please mail us at udemy@heartfulness.org your Name, Email ID, Date of purchase and if you received Udemy payment receipt. I do not understand English. Can I have course in my local language? The course is now available with subtitles in the following languages: English, Hindi, Tamil, Dutch, German, Italian, Spanish, simplified Chinese, traditional Chinese, Russian, Brazilian Portuguese and Romanian. No, you can not download videos. Please refrain from using the download tools as it would be direct violation of Udemy & Heartfulness Institutes’ copyright and IP rights. Legal action can be taken on tracking the downloads. How can I access the course offline? You can download Udemy mobile app for Android and iOS - https://www.udemy.com/mobile/ to watch sessions offline. Where can I find the references and testimonials of the students? and scroll down to the Reviews section. You will find hundreds of reviews and testimonials. I have completed the course, and keen to know more about the Heartfulness Meditation practice. Whom shall I get in touch with? Please drop an email to udemy@Heartfulness.org with your Name & Location. We will have Heartfulness Trained and Certified Instructor talk to you at the earliest. How can I gift the course to my family members /friends/ colleagues? Step 2 - Go to your course Dashboard choose “Gift this course”. Step 3 - A new window will popup, where you will provide the Name, email ID of your family member/friend/colleague, enter the date on which you want to send and the message to go along with the gift. Step 4 - Provide your credit card or Paypal details to make the payments. Check if the special prices are applied or not. If you do not have CouponCode you can write an email to udemy@heartfulness.org to check if the promo is still valid. I want to enroll all the employees of my company. Do I have special offer for the same? The prices are already heavily discounted under launch promo offer, and are equally valid for the corporate, universities or any other group. We can provide additional site-visit and regular offline classes and assistance to serve the groups. Please write to udemy@heartfulness.org.